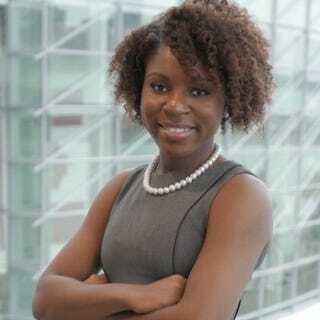 In a continuing trend of millennials raising the bar and showing they have what it takes to help institute positive change in the world, a 22-year-old black woman has announced her candidacy for mayor of Detroit. Although Myya D. Jones has not graduated from college yet, the Michigan State University business-management major has already built a solid résumé that includes a stint as president of the National Pan-Hellenic Council, an internship on Capitol Hill with Rep. Brenda Lawrence (D-Mich.) and two positions on the board of the National Association of Black Accountants, according to the Detroit Metro Times. She’s also been a Google student ambassador, she sat on MSU’s Sexual Violence Advisory Committee and she has studied in six countries. Jones is a Detroit native who has already overcome a number of obstacles in her life, including childhood sexual abuse and having to step up in the fifth grade and help raise her five siblings after her mother, who has bipolar disorder, fell into a deep depression, the Metro Times reports. In ninth grade, she found out the man she believed to be her father all her life wasn’t her father at all, and later, Jones herself was diagnosed with bipolar disorder. Clearly, the adversity in her early life made her a stronger, determined individual, because she told the Metro Times that she wants to use her experiences, both the good and the bad, to help enact change in her hometown, and that’s why she is running for mayor. “I have always been interested in civil engagement,” Jones said. “But I was turned off from doing politics because we had such a negative stigma around politics in Detroit. “While I was interning in Congress, I knew this was something I wanted to do. I want to give the voiceless a voice,” Jones added. The voiceless Jones is referring to are those who live in Detroit’s many neighborhoods. She wants those areas to become the focus of Detroit’s revitalization efforts, not downtown and midtown. Jones told the Metro Times that while she feels Detroit’s current administration is doing its job for the most part, she believes there’s room for improvement when it comes to focusing on Detroit’s longtime residents. “We can’t forget about the people who have to live in Detroit. We need to create more opportunities for people to have jobs, for them to be financially literate,” Jones said. Financial literacy, mental-health awareness, engaging with youths and working to create a better police force are areas Jones would like to focus on. Jones believes that even if she doesn’t win, the experience will not have been in vain, and it will be something she hopes to share with other young people who want to be civically engaged. Read more at the Detroit Metro Times.